Are you facing java.lang.TypeNotPresentException: Type javax.xml.bind.JAXBContext not present exception? 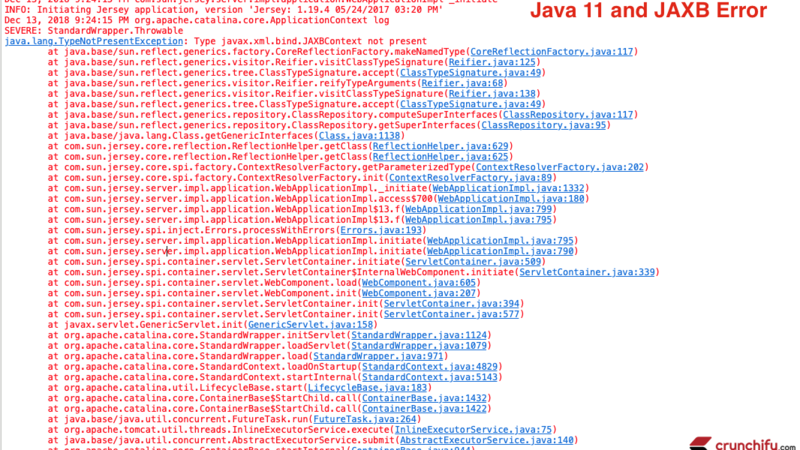 Today while running my RESTful service on my Eclipse I noticed javax.xml.bind.JAXBContext error in my eclipse console. The same program was running perfectly fine since last year without any issue. I started thinking about the changes happened on my local environment. There wasn’t any code checkin happened … Continue reading Java 11 and How to fix java.lang. TypeNotPresentException: Type javax.xml.bind.JAXBContext Exception?